Hardwood floors have been the traditional choice for our homes for hundreds of years. In today’s market, bamboo flooring offers an attractive, durable and sustainable alternative to hardwood floors. Moso bamboo, also called giant bamboo, is the species most commonly used for flooring. Bamboo is highly renewable eco- friendly building material, with its famous high strength and durability as well as its resistance to insects and moisture. 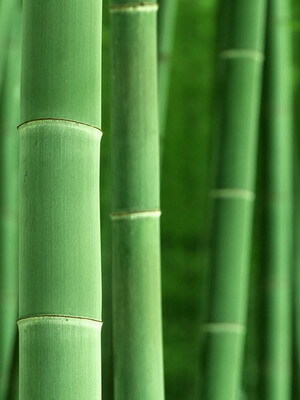 As a grass, bamboo grows much faster than wood. Moso bamboo can grow up to 78 feet high in just 40 to 50 days. It takes about 3-5 years for bamboo to reach full maturity, while the traditional hardwoods can take 20-120 years to mature. The first generation bamboo floor is solid horizontal and vertical bamboo, which has the same density as bamboo plants. And both of them have similar hardness to Australian hardwood timbers such as Jarrah and Blackbutt. The manufacturing procedures for strand-woven bamboo are different from traditional horizontal or vertical bamboo. The first step removes the starch and places stalks into a shredder. An adhesive substance is mixed in and heat is applied to help compress the bamboo strips into a solid bar shape using about 3000 tonnes of pressure. Once it has cooled, the bamboo block spends a few weeks in a balance room, whereupon they are sliced into individual planks, sanded, polished and coated for flooring. On today’s market, solid strand-woven bamboo is by far the most popular bamboo flooring. Because strand-woven bamboo is compressed by a 3000-tonne pressing machine, the whole process makes bamboo flooring higher density and much more durable. Most good quality strand woven bamboo’s Janka hardness is between 14 to 15 – much higher than most hardwoods that average 6-10. Strand-woven bamboo is almost twice as hard as horizontal and vertical bamboo. When compared to a timber floor, it is very hard to find surface dents on strand woven bamboo floor even after many years of use. Even so, solid 14mm thick strand-woven bamboo can be sanded and refinished, so the material looks like new. 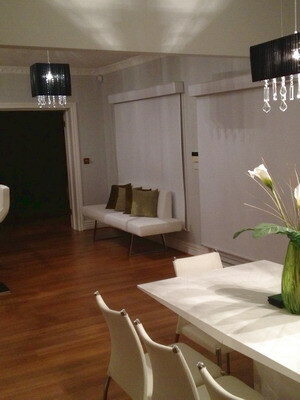 Please visit Bamboo Flooring FAQ page for more details about bamboo. For our strand woven bamboo flooring product, please visit our bamboo flooring page.